Now Rani’s Hichki is set to release in China on October 12! 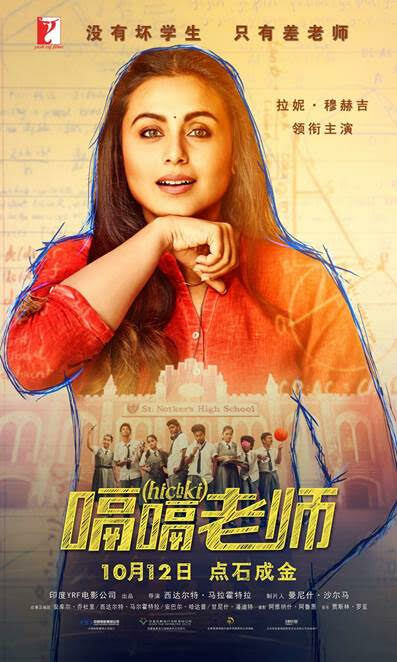 Rani Mukerji’s inspiring film Hichki that was loved by critics and audiences alike is now set to release in China! It is a huge feat for this social drama that has won the hearts of many across the world with its social message of equality. The film has been titled Teacher with Hiccup for the China release. Rani made a hugely positive impact with her performance as Naina Mathur, a school teacher dealing with an involuntary nervous system disorder, Tourette Syndrome, in the super hit Hichki. Given her brilliant performance, she won awards and accolades for playing the role of a specially-abled character, who not only changes her life but also the lives of children from economically backwards areas by not succumbing to life’s obstacles. Hichki has been receiving worldwide acclaim so far. It received a standing ovation at the Shanghai International Film Festival (SIFF) and Indian Film Festival of Melbourne(IFFM). 15 queries in 0.323 seconds.